Highly publicized events like hacked celebrity photos, credit card data theft from major retailers, and confidential business data loss from large corporations have drawn into question the security of Cloud storage, especially for businesses. Now that most people have a least some part of their digital lives residing in the Cloud, it’s even more critical to know your data is safe. Microsoft – OneDrive (which replaces the earlier SkyDrive) ships as part of Windows 10, and like Apple and Amazon, starts you with 5 GB of free storage. You can increase this to 50 GB ($1.99 / month), 1 TB ($6.99 / month) or 5 TB ($9.99 / month). You can learn more about how it works, and how to get started with Onedrive 2017 for Beginners: An Easy Guide to the Best Features ($9.99 – Amazon paperback). Dropbox – Their free storage is limited, but you can purchase unlimited space from Dropbox. Plans start at monthly fees $8.25 for 1 TB, $12.50 for 2 TB and $20 for “as much as you need”. Get the most out of your Dropbox account by reading Dropbox In 30 Minutes (2nd Edition): The Beginner’s Guide To Dropbox Backup, Syncing, And Sharing ($11.99 – Amazon paperback) and Dropbox Essentials: The Complete Beginners Guide to Dropbox ($9.99 – Amazon paperback). Google – Google Drive gives users the most free storage to start with – 15 GB. Paid plans upgrade you to 100 GB ($1.99 / month), 1 TB ($9.99 / month) or 10 TB ($99.99 / month). If you are interested in using Google for your Cloud Storage, start by reading Google Drive & Docs in 30 Minutes (2nd Edition): The unofficial guide to the new Google Drive, Docs, Sheets & Slides ($10.79 – Amazon paperback) . And it’s not only large corporations or financial institutions that should be concerned. One study showed that over half of the small businesses surveyed had experienced data theft, and half of those had experienced it more than once. The corresponding business disruption can also cost companies big money. Even a simple file that takes an employee an hour to recreate costs you money, and it can snowball from there. Worse still, most insurance policies don’t cover data loss of any kind. And even if you can be monetarily compensated, it won’t change the fact that your data has been stolen. In a post earlier this year we discussed the different file storage options for businesses (an on-premise server, public or private Cloud storage, or hybrid solution). Each has its own strengths and weaknesses. With on-site servers, your information is physically with you, under your direct observation and control. However, all it takes is a single bolt of lightning knocking out your server, or a cleaning lady clever enough to steal a password to simply walk away with your hardware. Viruses, stolen laptops, crashed hard drives, spilled coffee–all threats to your computing system also threaten your data. The truth is, cloud computing is here to stay, so it is increasingly important to protect your data there. And guess what? With the right safeguards and protocols in place, it’s actually more secure. 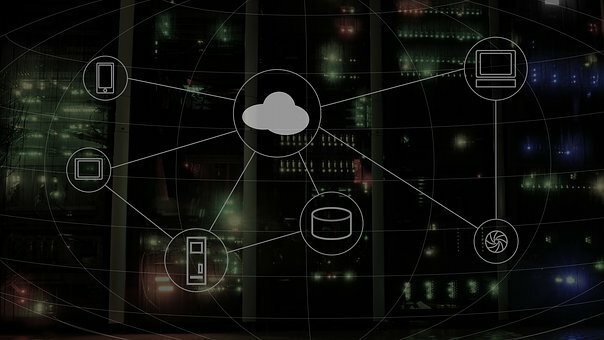 Beyond 24/7/365 monitoring that should be the basis of any managed IT services relationship, here are five key ways that cloud storage provides greater security than on-site servers. Controlled access: Know who accesses your data and when. Levels of access should be controlled and customizable by you, meaning that each employee should be given access only to the information that they need to get their work done. We also recommend two-factor authentication for an additional shield against cyber intruders. More robust firewalls and virus protection: Cloud storage facilities are constantly upgraded in response to the latest threats and to implement new technology. Besides malware detection and anti-virus software updates, make sure your IT service provider is able to detect and quickly remedy data breaches that may occur. Sophisticated management and restoration capabilities: The right service provider can identify file changes between any two backup points on a system, and can see which files were created, modified or deleted at any point in time. This means your data can always be recovered to the latest version saved before it was destroyed by a virus or accidentally deleted. Off-site backups, built-in redundancies, fail-over protocols and fault-tolerant architecture that protects against power failures also prevent costly business disruptions. Physical security: Cloud storage is located in highly secure data centers with restricted physical access, sophisticated burglar and fire alarms, backup generators and multiple redundancies and fail-overs. Many have multiple locations around the country, creating further redundancy in order to protect against a catastrophic loss in one location. On-premise servers rarely have this kind of fortress-like protection around them.